The UK macro data outcome will have a massive influence on GBPUSD. It seems that The RPI, HPI & PPI data in London market will empower GBP. 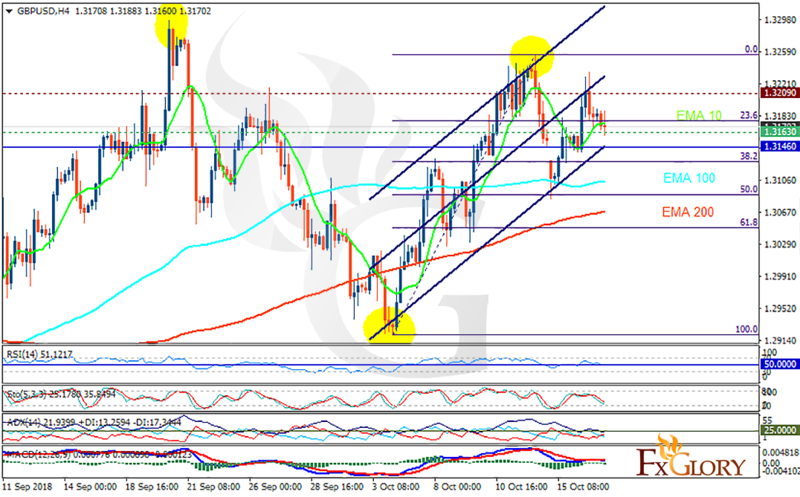 The support rests at 1.31630 with resistance at 1.32090 which both lines are above the weekly pivot point at 1.31460. The EMA of 10 is moving with bullish bias in the ascendant channel and it is above the EMA of 100 and the EMA of 200. The RSI is falling towards the 50 level, the Stochastic is showing downward momentum and the MACD line is below the signal line in the negative territory. The ADX is showing weak sell signal. The support level breakthrough will confirm the correction pattern towards 61.8 level of Fibonacci, otherwise, the price will grow towards 1.325.